Apple is expected to introduce its new 10.5-inch iPad Pro at company's annual developer conference next month. Ahead of the official announcement, 9to5Mac claims to have obtained the case of the 10.5-inch iPad Pro manufactured by Pelican. The report notes the new iPad Pro will be 257x17x6.4mm in dimensions. It also corroborates previous rumours that bezels will be fractionally smaller than older models. 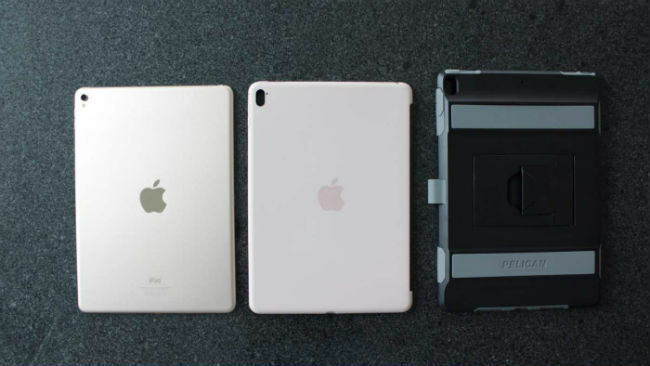 The leak shows the 9.7-inch iPad Pro next to the case and suggests that the upcoming device may be slightly taller but as wide as the existing 9.7-inch iPad Pro. The 10.5-inch iPad Pro is said to feature 7mm side bezels and an approximately 19mm bezels on the top and bottom. It is also expected to feature Touch ID button contradicting rumours, which suggested that the Touch ID button will be embedded within the display. Apple is reportedly targeting the commercial and education sector with its 10.5-inch iPad Pro. The tablet is expected to bring renewed demand for Apple's tablet, which has been reduction in shipments for the past few quarters. Apple recently introduced an entry-level 9.7-inch iPad and is also expected to refresh the 12.9-inch iPad Pro introduced last year. Apple is also rumoured to phase out the 7.9-inch iPad mini, and sell only three iPad in its portfolio. 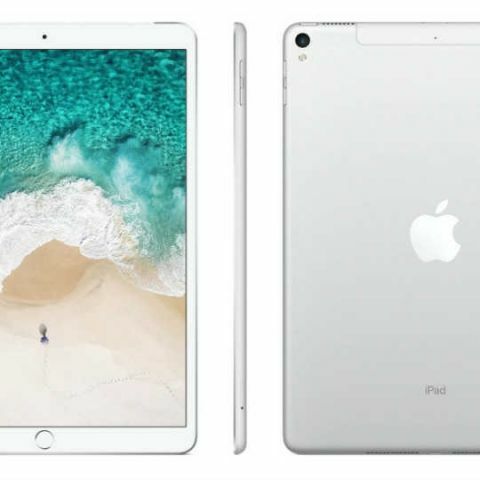 The recently introduced 9.7-inch iPad will be the entry-level variant followed by the 10.5-inch iPad Pro, while the 12.9-inch iPad Pro will be aimed at the commercial segment. Digitimes reports that the mass production for the 10.5-inch iPad Pro began in March-April with a monthly volume of 6,00,000 units. The annual shipments are expected to reach five million units by the end of this year. "Sources from the upstream supply chain noted that Apple's inexpensive 9.7-inch iPad is expected to accelerate Apple's pace on phasing out the iPad mini 4 from the market," the publication notes.